There are many benefits to buying a new Toyota. They are equipped with the latest technology, safety features, untouched warranty and that new car smell. We offer a vast selection of the latest Toyota models including the all-new Camry, RAV4 and Tacoma pickup truck. Join us for a test drive today. If you are interested in a pre-owned vehicle, we carry a wide range of all makes and models to ensure that our customers can find what they are looking for. We hand pick quality and reliable cars, trucks, and SUVs to ensure that all of our used cars measure up to our standards before they make it onto our lot. Performance Toyota offers a stress-free and clear systematic process in financing or leasing a vehicle. Our finance team will go over the entire car loan and lease options in detail to help you determine which option is best for you. We provide great offers and incentives to help you save on your car purchase. With our quick and easy car loan process, you can look forward to driving home in your new Toyota soon. We care about your satisfaction, that’s why we offer an onsite auto service and repair department. Our certified technicians are trained to work on your Toyota and provide only certified Toyota parts for making repairs. Trust our team to ensure that your car runs as efficiently as they say you first took a seat behind the wheel. 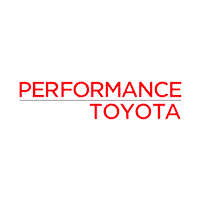 Everyone at Performance Toyota is fully committed to providing an exceptional dealership experience whether you’re test driving, financing or servicing your Toyota car. If you’re ready to take advantage of our services, contact us or visit our dealership. We look forward to servicing you!